Lone Tree Cemetery Association is a nonprofit association. This is different than a number of cemeteries located nearby. Other cemeteries that are close to Lone Tree are for profit publicly traded companies headquartered outside California. They report to their shareholders. At Lone Tree we return our profits into the ongoing maintenance, development, and operational costs of the cemetery. That is one of the reasons why Lone Tree Cemetery has more of a park-like feel. It is not uncommon to see people at the cemetery reading, walking, running, walking their dogs or stretching. 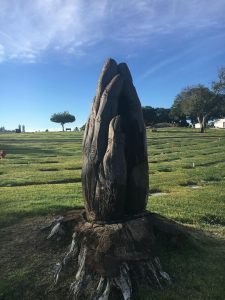 Lone Tree Cemetery is a place of reflection and contemplation. Our Board of Trustees and Directors are local business people that are pillars in our community.